If you are planning to attend the Monaco Grand Prix 2017, then you are definitely an avid F1 fan. Monaco GP remains one of the most glamorous races in the calendar and its rich heritage makes it one of the favourites with fans. Drivers on the other hand try to win this prestigious race to prove their mettle as it is considered one of the riskiest in the circuit. Together with Indy 500 or Le Mans, this is one race every driver dreams of winning. 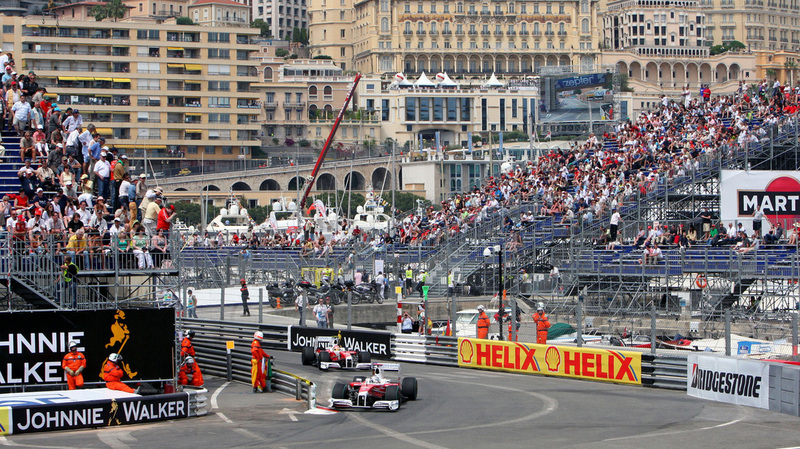 Well, the Monaco street race has continued attracting thousands of spectators and VIP visitors from across the globe. Not only does the city offer a great opportunity to sightsee but the exquisite Monaco F1 Hospitality makes the allure irresistible. It is not just about the thrill of the race but on the sidelines, you have a chance to explore the principality like royalty using a hospitality package. If you have been looking for a perfect getaway to pamper yourself, make sure your calendar is free from Thursday May 25th to Sunday 28th. Not only will you watch drivers struggle on one of the toughest tracks in the F1 calendar, but you will also have an opportunity to explore one of the top tourist destinations in Europe. You can make your Monaco Grand Prix experience truly memorable by buying a package that allows you to relax and get the best views of the race. If you are flying all the way to catch F1 action, it is highly likely that you love fast cars. What if you got a chance to drive one of these supercars that you only see on magazines? Think of yourself driving down the winding roads from the UK, France, Switzerland, and Italy to Monte Carlo in a Lamborghini? It might sound farfetched but it is possible. You can now join other travellers who will be on a tour from the UK all the way down to Monaco in supercars. It doesn’t get better than this; you will arrive for the race like royalty and you can bet this will be one of the highlights of your Monaco GP. One of the highlights of Monaco harbour is the large number of yachts, and maybe you have always envied the fantastic views the people on these boats have. Well, you can now book a hospitality package that includes a stay on one of these super yachts where you will have magnificent views of the race. The cars are very close and you will enjoy the breeze and the beautiful waters surrounding you. If you really want to have a memorable experience during the Monaco GP, you must have the best viewing area. If you are not on a yacht, you don’t have to worry because there are glamorous hotels offering exquisite packages for guests wishing to catch the view from their terraces or balconies. From the Fairmont to Ermanno Palace Suite, there are great facilities offering incredible viewing positions where you can catch the action. When booking, you will be given a detailed presentation of the hotel location to determine whether the package suits you. These packages also come with food and drinks and more exclusive services to make you comfortable. The paddock is exclusively for VIPs and you can gain access by buying the relevant hospitality package. The Red Bull paddock, for instance, has an exceptional viewing platform from where you can also catch sight of the drivers as they prepare. There is gourmet lunch and drinks which guarantee you enjoy the day. Now that the action on the track is over, where do you head to? Your hospitality package has an answer in the form of the Amber Lounge after party. This is the most popular after party which attracts Hollywood celebrities, Formula One drivers and VIPs from across the globe. The international DJ plays great music and helps you unwind after a long day in the sun. Go on and book your Monaco F1 hospitality ticket early to avoid the queues. Winning at Monte Carlo streets for any Formula One driver is always a dream come true. It is no wonder that when Schumacher won it in 1994 and Hamilton won it in 2008 they were bound to become champions down the road. In a poll by British fans in 2009, this arena that has seen many gladiators fall was rated top among Seven Sporting Wonders of the World. But what makes Monaco so intimidating? Firstly, it is the shortest in the calendar at only 3.340 km and this translates to an incredulous 78 laps. Just imagine driving around town 78 times in your car at dizzying speed and you will appreciate why it is rated as the toughest, riskiest and also the most thrilling. The start: The lap starts a short distance down Sainte Devote corner which is one of the tightest in the calendar. Just imagine starting in a rush only to find a 90° corner. It is no wonder this has been a scene of myriad accidents at one time necessitating tweaking of the corner. Time to up the gears: Out of the corner drivers go uphill along the d’Ostende avenue where again there is the challenge of a bumpy road surface. At this point drivers are still trying to jostle for position before the race settles. After snaking past the Casino and down des Beaux Arts Avenue, drivers come to the infamous hairpin at the Fairmont. Any good driver can use a chance here to overtake. There is another double right hander at Portier and then the tunnel. The tunnel reduces speed and poor visibility also hampers fast speeds. The treacherous chicane after the tunnel makes for an interesting view for fans but Sergio Perez and Jenson Button know better because in 2011 they crashed here. The fact that this is an ideal overtaking space also makes it dangerous for all drivers. Gear up again: Drivers have a chance to up speeds after the chicane up to the Tabac to reach the Piscine and later a slow right-left chicane. The short straight after the chicane is almost delusional because drivers have to brake hard to tackle the tight La Rasacsse, a 135° corner. Back to the beginning: After La Rasacasse there is a short straight stretch leading to one of the latest added corners, the Antony Noghes. The cars then head full gear up to the start as they complete the first lap. Well, if your favourite driver has made it to Boulevard Albert for the first lap then you have some hope that they can do it another 77 times, can’t they? Just sit back and pray nothing goes wrong, though it mostly does in any gladiator’s arena. This will definitely give this iconic sport some flavor, especially with younger fans, without disrespecting these predecessors. The best thing is that the earlier F1 drivers will never be forgotten because their exploits are recorded for posterity. Jenson Button: When you have talent, but no good car, you can’t win unless FIA allows you to fly. This was exactly what Button proved in 2009 with the Braun team. After joining Williams at only 20 years, the Brit struggled a lot, but his brilliance shows in his 266 F1 race starts – 15 wins, a championship and 8 pole positions. Sebastian Vettel: This is another maverick described as ‘baby schumi’ after legendary Schumacher. With 139 race starts, four championships under his belt with RedBull, 45 pole positions and still running hot this year with Ferrari, there is much more to come from the German. Kimi Raikkonen: Forgive his communication skills because he covers up for the same with his skills on the track. Since his debut in 2001, the Iceman has wowed when in the right car and it showed in 2007 when he won the championship in a Ferrari. He has had 213 race starts, 20 wins, 16 pole positions and, of course, the championship. Fernando Alonso: After Button, this is the most experienced driver on the grid. He has moved to McLaren for 2015 and with 236 starts, he boasts 32 wins, 22 pole positions and 2 championships. El Nano has many records, and the fact that he always performs in under-performing cars makes him quite dangerous on the track. Lewis Hamilton: This goes without saying because when in his aspect, Hamilton just does magic. Winning a championship in your second season is not common, but he did in 2008 and won another in 2014. With 148 race starts, he already boasts 2 championships, 38 pole positions, 33 wins and 20 fastest laps. Many say he is reminiscent of Ayrton Senna, but time will tell. Today’s grid is talent galore from Nico Rosberg, Massa, Daniel Ricciardo and Bottas, among others. The question remains; who will end up in the hall of fame?